This is one of my favorite times of the year as I'm sure it is for many others as well. The most favorite part of the season for me, is getting out the large selection of Christmas CD's I've collected over the years and playing them over and over. Somehow, I just never get tired of traditional Christmas tunes. They always tend to get me into the spirit of Christmas. It's kinda magical! Speaking of getting into the spirit of Christmas, I was inspired to write an original song of my own. I began to reflect on all the things that Christmas mean to me, such as carols, giving gifts and playing in the snow (when I lived in Canada!). The song is called, Christmas is a Time. 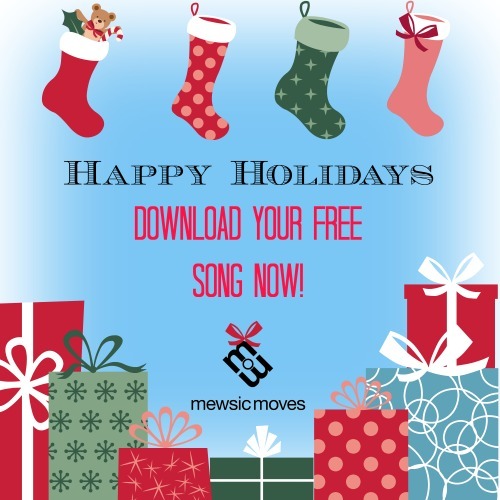 In the spirit of giving I would love to share this song with you, your family and your child for FREE!!! I invite you to write your own lyrics to help your child refelct and create their own personal Christmas experiences within the song. To download the song you can click on either image or click here. I hope you and your family enjoy this song and in the spirit of giving, please share it with others! I'd also love to hear what Christmas traditions you and your family celebrate and use in the song. Happy Holidays Everyone! And cheers to a prosperous and happy new year! For FREE songs, videos and tips on how to support children with music click here.